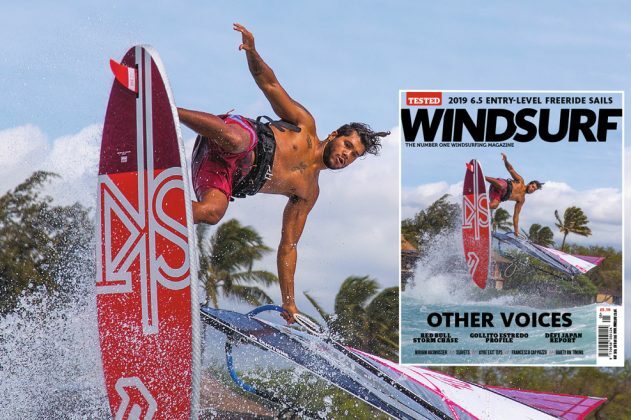 Other Voices: Red Bull Storm Chase; Gollito Estredo, Francesco Cappuzzo and Miriam Rasmussen profiles; Défi Japan report; 2019 6.5 Entry-level Freeride sail test; Seavets; Peter Hart on timing; Jem Hall’s gybe exit tips; Exploring Israel’s Windsurfing; Gunsails Bow Concept lowdown. 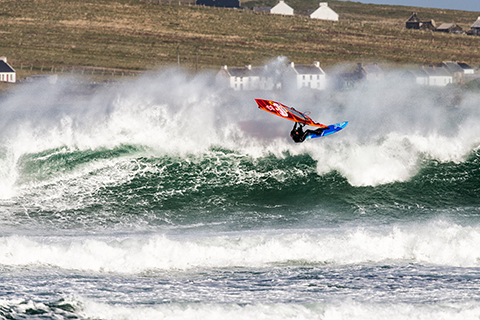 The Red Bull Storm Chase tested riders to their absolute limits at Magheroarty, county Donegal, NW Ireland; JC finds out how it all went down. 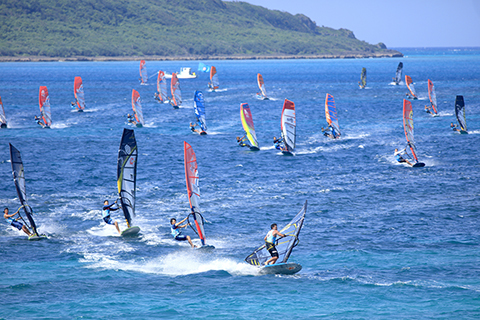 Miyako island played host to the inaugural Défi Wind Japan; we talk to some of the athletes and organisers to get a flavour of the event. In the changing world of freestyle, one thing remains constant, Gollito Estredo winning! 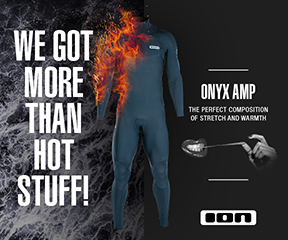 So what is his secret?, we ask his peers and the man himself. 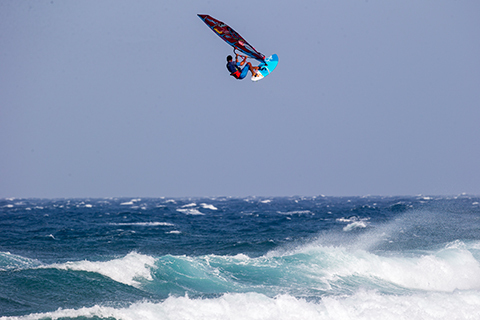 Outside of Israel, relatively little is known about it as a windsurfing destination; Eric de Cruz took a trip there to find out more. 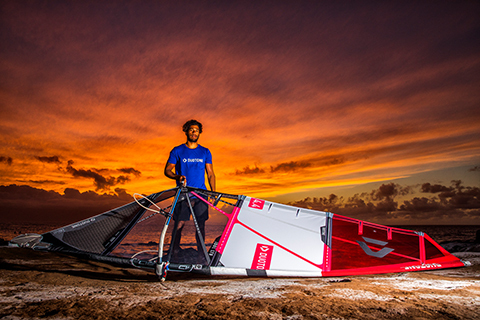 Francesco Cappuzzo is a world class talent in windsurfing and kitesurfing. 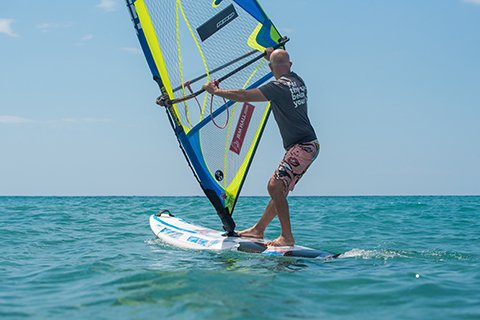 John Skye profiles the affable Italian and helps us learn more about his skills. 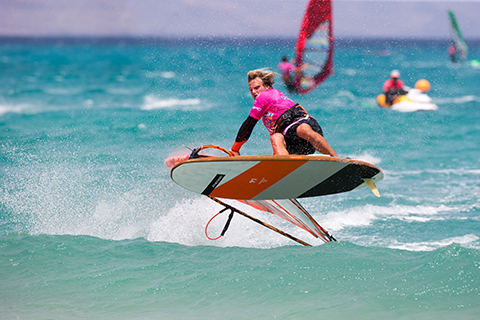 Norwegian Miriam Rasmussen was a late starter to windsurfing, but that hasn’t held her back. We learn more about Miriam’s challenging start and inspiring path. 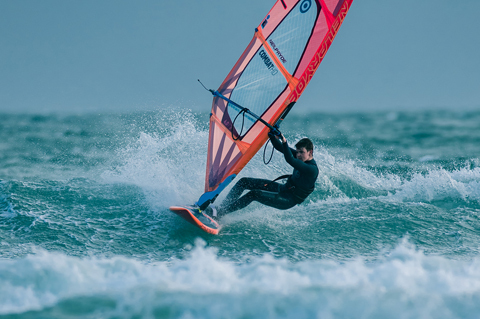 2016 and 2017 UK Youth Wavesailing Champion, Ruaraidh Somerville, gives us an insight into the world of an aspiring fifteen year old wavesailor. 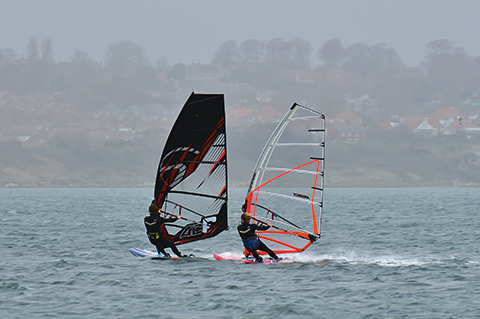 Seavets is a UK based senior and veteran windsurfers association, vice-chairman Ruth Tracey tells us more about their merry clan. Harty this month suggests that improvement may lie in focussing not so much on ‘how’, but ‘how long’. It’s all about time and timing. 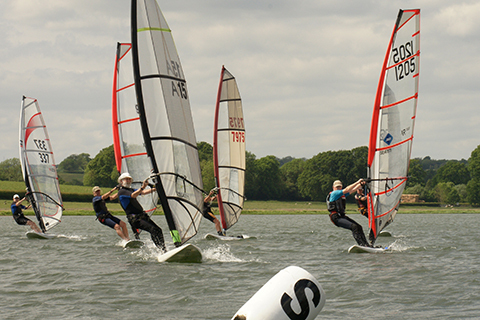 Jem Hall gives us his tips for better gybe exits. 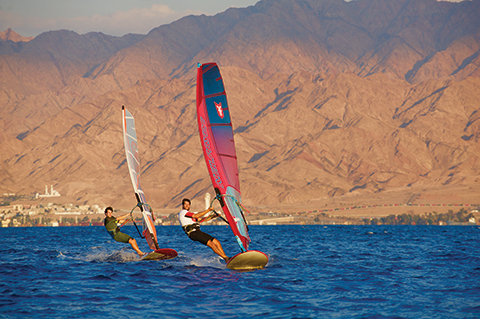 When greatness is born in windsurfing, we list it here. 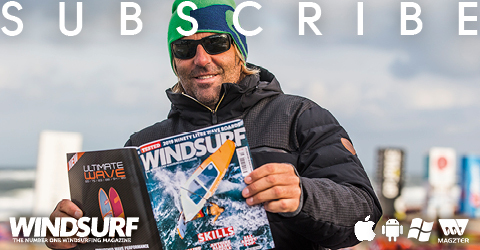 A record of all that is new in the windsurf universe, otherwise known as – the news! 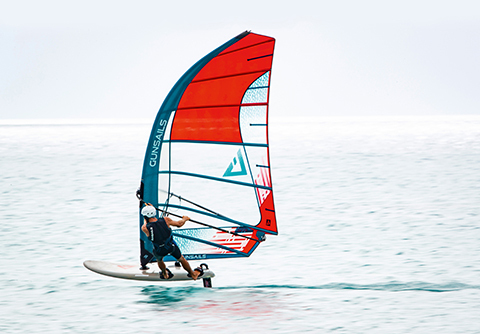 The Gunsails BOW is very different – a radical head design, no loose leech and specially designed mast. Designer Pieter Bijl gives us the lowdown. 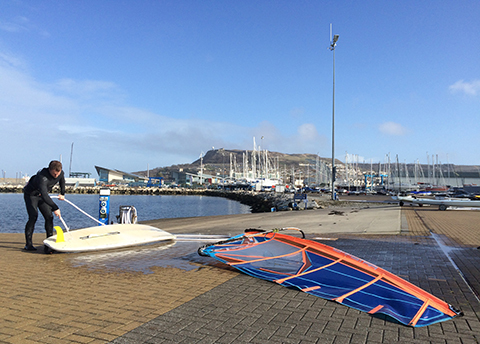 The RYA tell us about the ‘Check Clean Dry’ initiative to help stop the spread of invasive species and diseases. 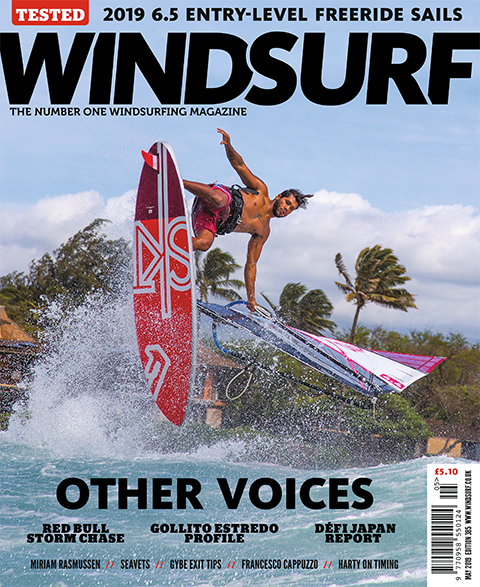 The editor celebrates the many and varied voices of windsurfing. 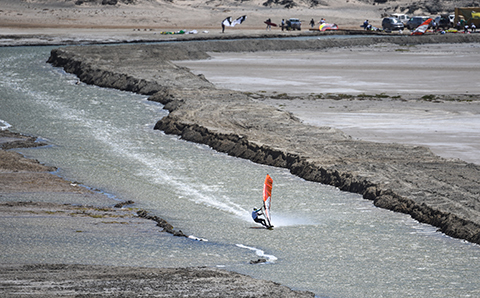 Harty muses on the impression and influence the Red Bull Storm Chase has on the windy world.